Meltdowns are tough. Tantrums are treacherous. They are downright life-sucking. They sneak on you without notice and they stay like the plague. Once they arrive, there is no switch to turn them off. It’s like the aliens have descended and abducted your child’s brain. One moment your toddler, pre teen or teen is the sweetest thing, all cuddly in your arms and whoa, what happened – what did you miss? – you blinked and the torrents descended. Your child transforms from human to monster, from sweetness to absolute wickedness. Arms flailing, tears pouring, voice shrieking – should I say more??? In our confusion, we say the wrong things to our children. Without realizing we worsen the situation, instead of mitigating it. In all my years as a parent and clinical psychologist, these are the three common phrases parents say that not only exacerbates the tantrum but also creates a disconnect between parent and child. New-age parents especially, think that they are being highly evolved when they tell their kids to use their words. This is the absolute wrong thing to tell a kid who is in the middle of a brain freeze and emotional flood. The last thing they can do at these moments is use their literacy skills. This is especially true for kids under the age of 6. When we tell them to use their words, we frustrate them to no end because this is not the mental state they are naturally in. They feel controlled by us even more and this causes them to kick and scream even louder. WHAT TO DO INSTEAD: As your kid is overwhelmed by their big feelings, it is crucial that we enter their presence with a state of detached, yet calm, energy. We need to show them that we are there for them, without controlling them or domineering over them. Like a tall mountain, we need to show them that we can withstand their torrential thunders and their gusty winds. The most important thing we can do is move toward them with stillness, calmness and full-on presence, and try to hold them close to us if they let us. When they see us relate to them with great empathy in our eyes, they will naturally absorb our strong, yet silent, caring and slowly begin to find their way out of the dungeon themselves. The moment they sense us controlling them, however, the quicker they will resist and pump their tantrum with more gusto. WHAT TO DO INSTEAD: Remember this, every human just wants to be seen and heard. We want to be accepted for who we are and for whatever state we are in. We don’t want to have to rationalize and justify our feelings to anyone. We just want to feel. Pure and simple. This is especially true with kids. The biggest gift parents can give their children is to allow them a space to express their feelings without putting words, thought, explanations or justifications onto it. In this way, children learn to be non-threatened by big feelings and simply roll with them as they arise in their beings. Feelings in and feelings out. Allowing kids to be vessels of their own feelings and not force them to deny, shut-down or explain them away is one of the most valuable gifts we can give them. If you have read my first and second books, The Conscious Parent and Out of Control, you probably already know my thoughts around punishments, threats and time-outs for kids. When we tell our kids to stop their meltdowns, it’s akin to us putting a burger in our mouth and being told not to chew on it. It’s virtually impossible. When our kids feel ashamed of their big feelings, they absorb the self-image that they are “weak,” and “immature.” They equate this to being lesser-than and inadequate. These are not positive messages for them to internalize at all! WHAT TO DO INSTEAD: When we emit the energy that we are unafraid of our children’s big feelings, we communicate to them that they too have nothing to be afraid of. When they see us unfazed by their feelings, they learn to be the same as well. It is not our job to control when and how our children have big feelings. Our job is only to support and guide them through the big waves and help them come to the other side feeling whole and validated. Once we teach them how to swim through the waters of their feelings, we empower them to do the same when they are alone. Instead of punishing them, we need to empathize with them and relate to them through our body-language and soft, soothing tone of voice. We need to draw them close to us and stroke their hair. We need to calm them through body-rubs and gentle love. This is what will allow them to eventually let their feelings wash through and subside. Beautifully written and great insight on how to handle tough moments with our children. Amazing insights, totally agree. And when I have reached Nirvana I will be able to be still like a mountain when my kid has the 24th meltdown of the day and he tries to stab me with his fork. I wish I could be the still, calm energy, tell me how I do this with sleep deprivation and frazzled nerves. I will listen to every word. Amen. I completely empathize with you. Yes I would also like to know how Shefali would handle this situation Stephanie brought up. I’m a formerly authoritarian parent who is learning new strategies and concepts every day. That said, I do every single thing you’ve listed! Thank you for expressing so clearly not only what I’m doing wrong, but also what I can do that’s RIGHT. I love the ideas but wish you didn’t refer to them as “monsters” and “wickedness” when having a tantrum. Part of the problem I think is not just accepting them for whatever they’re going through, and language like that has consequences on how people see and deal with children having a hard time. But then the ideas were great, so thank you for that! For me, tantrums are better left ignored, and focusing on positive behavior of other children, if applicable. Tantrums are a cry for attention, and once that attention is received the child has had negative behavior reinforced; in turn, this encourages that negative behavior going forward because they have received a positive result in getting attention. So in my house I will focus on the sibling that may not be behaving in any remarkable way, but is probably listening or at least being quiet and deserving of my attention. The result is the tantrum child getting discouraged that their method of deriving attention isn’t successful and climbing into my lap to receive the same positive reinforcement. When you feel down but can’t put words to it, what would you like to get from a close person at that moment? That the person gives you a stern look and turns toward a “happier” person? Or would you like to be accepted the way you are, even if you are maybe having a mental breakdown with crying and anger, helplessness and hard frustration? That the person you love simply takes you in his/her arms and plants a kiss on your head? Or if closeness is not what you feel like at that moment, than maybe just an understanding nod and a smile. You’ll feel better in no time! I guess by focusing on the “other” sibling, you are not helping the other one but you leave him/her with no help. But it feels always good to see someone else write about it too. This comment about being there for them when they are ready to talk is great with teenage girls. It took a while for me to get over the need to “fix it” immediately. Let them have their big emotions. Step away. You can also say what you see. “It looks like you are really upset. I’m here when you want to talk.” Actually, it works with spouses too! Don’t fix it. Just listen!! I have to agree with Sarah. When a child has a genuine emotional issue we should comfort them. When they are simply having a tantrum because things are not going their way this behavior should not be condoned. As an adult I would want my significant other to hold me when I am having a genuine emotional upset but if I were to throw a tantrum over nonsense if they were to give attention to that behavior what would I learn from that? We cannot condone every emotional behavior. We want our children and those we love to be the best they can be and it would be a disservice to teach our children that bad behavior as in an unjustified emotional outburst is a way to recover attention. If you ignore their feelings when they are seeking attention you may find the acts for attention become more serious. You can’t ignore a child who is brought home by police. They want to feel validated. They just want to be loved and accepted for who they are. I agree Sarah. If my children have breakdown of frustration I will reassure them with a soft, loving voice reassuring them their feelings are valid, and to take a breath/break and try again. However if my children are using their breakdown as means to force their will…then I will nicely say “I said “No”” or “I know you’re upset but you can’t …” and continue doing something else. I later kiss them when they’ve calmed down, reninding them I love them and we move on. If you follow Dr. Shelfali’s teachings both the child performing your desired behavior and the child expressing himself with big emotions are equally deserving of your attention. Simply being should equal worthiness. I’m afraid the child having the tantrum might feel even worse being ignored and obviously COMPARED to another person. How id hate my sibling ( or husband or best friend) if someone did that to me!!!! I totally agree with this. My son is 33…the times that he had “melt downs’ as a child were times that I ignored. the behavior rather than drawing attention to it. He is an only child, so there were no other siblings that were focused on instead, but I did not focus on him. I just went on doing what I was doing; reading a book, taking a walk…the message being, “I am perfectly happy doing these things with you, but screaming, and having tantrums are not the way to get me to do them.” I used the same method on a child that I was watching for a period of time. Whenever I would first get there, he would cry and fuss, so I put him back in his crib…again, the message, I’m happy to play with you, but not if this is what you are going to be doing. It isn’t about being accepted, which is a nice buzzword that people use to instill guilt in parents whose methods aren’t their own, but encouraging positive behavior. Love this post and would love to see more under WHAT TO DO instead? Maybe some actual phrases and sentences to say? Thank you so much! I read your book, The Conscious Parent, (as well as Out of Control) before I had a child and was in a unhealthy place with my mom. I am so grateful that I read your book. I was able to understand the way she raised me and was able to correct some things about me… Now I am a mom of a 4 month old boy and my husband and I are having a blast allowing him to teach us things that we have yet to work on in our life!!! This is excellent advice for self soothing as any age, too! I am learning to honor my feelings and treat myself with kindness. Meltdowns seem less often as I take the time and make space for my feelings. Puzzling. Any animal can howl. It is the ability to communicate that separates us from animals. It is amazing how quickly _both_ of my children developed the ability to get themselves under control. I suspect it is because the actual need was tended to faster, when they communicated what the problem was. Perhaps we are outliers. Thank you for this. I need to remember this for my future profession as a teacher. Although I will be in secondary education, I’m sure there can be meltdowns in those age groups as well! I assume that my children rarely ever had a meltdown because I did my best to listen and respond to them or maybe they were just mellow… but this will not be true of all the children I teach. They will come from different experiences and backgrounds and I need to be aware that they have different needs and responses. And I need to remember to be compassionate when they have difficulties dealing with situations. How can I hug him and bring him closer after I pick him up at school to find out he spit in a school mates face? Everything you said I’m doing the opposite. I feel like such a bad parent. But should I hug him? And reward him with positivity when he did such a foul thing? I try to tell him each day- be good so we can do (fun thing) when I pick you up! But then he will cause trouble (talking back to teachers, ruining another kids art, dancing around instead of napping) my kid is 5 and a half btw. I’m at such a loss. I’m reading one book after another and I feel so lost and hopeless. Jessica, have you heard of “social stories?” I’m sure you could find some of these online to target the positive behaviors you would like to see I your son. Just an idea. I am a first grade teacher. Have you tried a positive behavior sticker chart or something similar at home? With a positive reward if a reasonable goal is met? I am a single mom of two special needs kids. I completely relate to your feelings of helplessness. I honestly don’t believe there is a general “right”way to handle all tantrums. Each kid is different and every tantrum cannot be handled the same. I question my abilities every second of every day, I have tried every suggestion from one end of the spectrum to the other. One may work this time, but won’t the next time. It is absolutely frustrating. I wish you the best. I believe we are going to have to agree to disagree on this one! The very best thing I’ve taught my kids it to take a deep breath and use their words when they’re upset. Maybe I’m damaging them deeply and am totally wrong, who knows? We’re all bound to screw up our kids in one way or another. That said I have 4 children ages 7, 4, 2 and 1 and they have all been able to, by age 1.5, take a deep breath, tell me why they are sad, mad or overwhelmed. It is the best thing that ever happened to me as a parent or us as a family. It is never too early to encourage self control – of course this article seems to connect encouraging children to use their words with controlling them. I see it as a way of helping them control themselves. I’m not saying my kids can’t be sad and express themselves but words are a very good way to express oneself! “i cry because i _____” from a 1 year old lets you start making them food right away, or lets you know that they’ve hurt themselves and where it hurts or lets you know what it is that is making them mad so you can discuss it and do something about it – I’m all for being strong and silent (it’s one of my strengths, really!) but I’m not at all interested in standing there strong and silent while they cry for 45 minutes when I can ask them to tell me what’s wrong and have it resolved (or ignored, if need be) in 1 minute. Children are capable of far more than this article claims. They are not mindless monsters incapable of self control or non-violent forms of self expression … unless you raise them to be! I can not agree at all with the idea that encouraging your child to communicate and letting them know that you are there to help them causes disconnect or distancing… totally strongly passionately disagree 100%…. disagreeing so strongly that I had to leave this comment. Is this author really claiming that children are incapable of mindfulness? I am bewildered and shocked. You are talking about what to do with a child when they are upset. Dr. Shefali is talking about what to do/not to do during a meltdown. It’s great that you’ve been able to teach your children at such a young age to calm down and talk about what’s upsetting them before they reach the point of uncontrollable anger or sadness, but many children, for a variety of reasons, do not have this skill. When they get to the meltdown stage they’re past the point of being able to take a deep breath or use their words. I am not here to flaunt my qualifications but rest assured I know what a meltdown is (both sensory and otherwise) and am aware that this article is discussing them. I also know how to teach children the skills needed to avoid them. These are valuable skills that people have been practicing since parenting began… no disrespect intended towards Dr. Shefali but this is exactly what the practice of mindfulness is about – Dr. Shefali is well versed in mindfulness so I find it hard to imagine she has not read the many sources available on teaching children to practice mindfulness. I have. But the time to teach mindfulness is not *during* a meltdown. These are things to remember when a child has already lost control. This advice does not preclude teaching mindfulness to children. It’s meant as a way to get through the meltdowns of children who are not there yet. I continue to, respectfully, disagree. In fact, the only time we can point these behaviors out to a very young child is when they are happening. I am aware that there are people who believe that meltdowns are a loss of control (rather than a surrender) but I am not one of those. I agree with Dr. Katmari that this information is wrong and potentially dangerous. I think this article could have used more qualifiers as the absolute statements made in this article are not defendable. Many parts of this article show an obvious lack of understanding of the young brain. (Which happens to be my area of expertise.) Blanket statements about how all children “are” or how all children act and react does not respect children in any way. To respond to your reply directly (instead of continuing my rant on my obvious displeasure with this article) you mention “uncontrollable anger/sadness” – this type of thinking is the very core of my problem with this article and, to borrow from Dr. Katmari again, dangerous and wrong. We must not raise children who believe we are victims of our emotions or simply along for the ride. We must expect the best from our children, not stand silently during their opportunities for growth. Again, I am beyond familiar with what people call a “meltdown”. Amen Dr Harris!!! couldn’t agree more!! Yes, agree with Dr. Harris as well – SELF-CONTROL…it isn’t something that we should put off. Kids are quite capable of doing it…they are not animals. I just love the description of how we should be like a tall mountain to withstand our child’s strong winds and thunders. It’s so beautiful. I hope I can take that with me and remember it when I’m next dealing with a meltdown! I think maybe we need to know the difference between a meltdown and a temper tantrum. A temper tantrum is something that happens when a child can not have what they want and are frustrated and will immediately stop when they’re given what they want. A meltdown is when a child has lost all control of themselves due to frustration, sadness, guilt, over stimulation, tiredness, anger this is when we need to be there for them. I deal with these every day due to a child with aspergers and still find it very hard to distinguish between them ? I really enjoy this article. We have a 4-year-old boy who will sometimes spin out of control in spaces I cannot really ignore his tantrum, or remain unfazed. On the subway for example. When he begins kicking and loses all spacial awareness of his immediate fellow subway riders – what can I do to extinguish this asap? The worst is when people start yelling at me, and talking bad about my son while I’m trying to calm him in the middle of a crowded train, full of cranky New Yorkers. To overhear “not my son” “if that was my son I’d….” Help. Dangerous words and makes our field look foolish! I have studied child behaviour and psychology in China and India for 40 years and special need childrens here in Canada for 10. Please to take with grain of salt her advice. We teach the children to handle overwhelmed not wallow it. This bad advice create bad children dangerous teenages & fail adults. 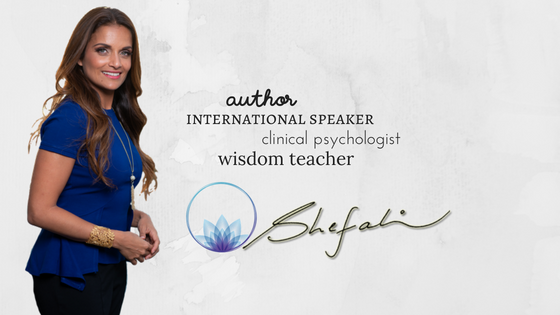 Dr. Shefali famous for thinking differently but every other professional disagree. Wonder why? Dr. Shefali says under 6 can not use words when having “meltdown” or adults can not have food in mouth without chewing? These equally wrong such bad advice I never heard. Sorry English not first language and on cell phone please with all respect do not tell parents childrens are not able to control this is wrong bad dangerous advice. Plus too these words monster and wicked dangerous and wrong applied to childrens. Unacceptable. If view them as monsters never try to help them. Downward spiral for all involved. You critique parents’ go-to phrases but don’t offer replacements – sometimes a “script” is helpful. What kinds of things should we say to our children in those moments? I understand your suggestions on how to react, but what words go with those reactions? I am waiting crazy for your new book. My life has changed already dramatically after reading your books. I was a single parent struggling terrible and now, I can say I enjoy parenting and the best my kids are totally different. Thank you so much, you are truly a revolutionary in the field. Dr. Harris, I respectfully disagree that uncontrollable anger does not exist. I’ve witnessed many dramatic screaming/crying tantrums that end quickly when the child realizes he will not get his way. I’ve also witnessed episodes in the same child which are clearly out of his control. I will not try to distinguish the two any more for you. You obviously have not experienced the latter, and for that you are lucky. You are describing uncontrolled anger which is not the same as uncontrollable anger. We always have the option of control but we do not always choose that option. This is a very important distinction to make. Again, it is that type of incorrect belief that is the problem with this article and this way of thinking. To believe or even worse to encourage a child to believe that their behaviors are out of their control is a damaging thing to do. I have no doubt and no trouble believing you when you say that you have witnessed a child who was not controlling their anger. That does not mean that it was impossible for that child to control their anger, only difficult. Modern neuroscientific studies (Helm, Blair, Todorov, Denson, Adams, Panksepp… the list goes on) give us a very detailed understanding of the foundations of emotion. Much of what is believed and even taught regarding behavior is based on ancient versions of the Diagnostic and Statistical Manual of Mental Disorders and was largely guesswork based upon observation not upon a deep understanding of the actual function of the human brain. As I have repeatedly assured you (again, this is specifically my field of study) I am very familiar with the concept of a “meltdown” but there is no such thing as an impossibility to control oneself, only a failure to do so. We must not raise children to believe that they can surrender control when overwhelmed and wrongly believe that it was due to it being impossible to control themselves. I fear a world where people believe they have no control over their actions. I will not argue that self governance and self control can be very difficult at times, at any age, but that does not make it impossible. 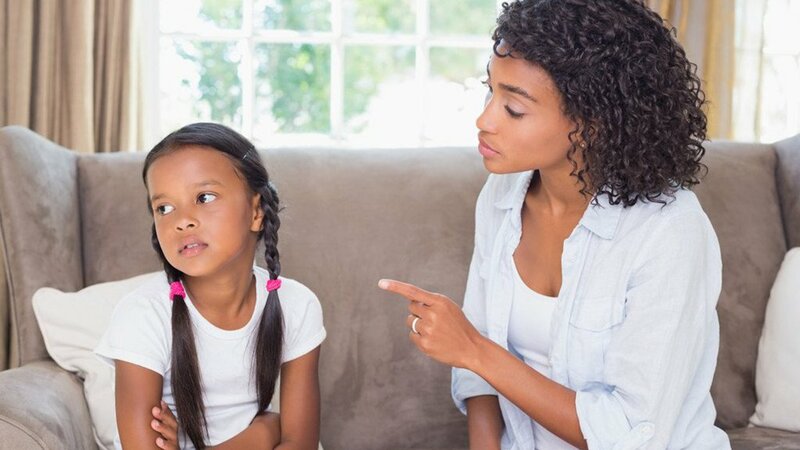 Teaching children that they are indeed in control of themselves is very typically the first step in dealing with rage or uncontrolled anger issues for a very good reason! The advice that it is just the way things are and it is beyond control is very bad advice. These would be the statements I find offensive. Everyone has their own parenting style and I am not here to debate that concept. We each do as we feel is best and learn as we go. I am not so much questioning the advice given to parents here but instead the few comments you (and others in the comments) do make about the capabilities of children. I am familiar with your books and have seen many examples where things are stated as fact that are, in no way, fact. I will not dwell upon my opinions of your work here unless asked but I will say that your books are in desperate need of reference, source, bibliography or any type of corroborative evidence if they are going to be presented as fact. To contrast with my probably obviously negative view of your works as “parenting books” I will say that they are likely of great value as self help books for certain types of parents with certain types of children but should not be seen as work that touches in any way upon the science of parenting. Thank you again for your comments. I love to hear what other professionals have to say. In no way do I take it as offensive – so I hope you won’t either. It is fun to bandy about these things — which tend to be taken far more seriously than they actually are. If you knew me, you would know that I am the last to do serious damage to children or parents. If anything, I am constantly undoing the damage being done by the so-called “scientific professionals” in the fields out there. And yes, my books are very much self-help. And like all books – “scientific” or self-help – they are not geared for every parent/person or child on the planet. People who read self-help books know this. My books come from the heart and are meant for the heart. Not so much for the head space. They are taken to the heart from a place of understanding that the spiritual journey of parenting is full of nuance and caveat. If there is any place that I proclaim to lend scientific fact, then it is my error — I don’t think I ever have. I have enjoyed this exchange. You have presented your views with the greatest respect, which I appreciate. Glad you came to my page — even though you disagreed. This is what enlightened dialogue is about. Something I so value. I feel its a balance of teaching the child mastery over emotions, able to distinguish the emotions and expressing emotions. In an asian culture, parents are like gods, for many having emotions are seen as immature even in adults, that creates a whole lot of problems as an adult such as lack of empathy, disconnected with emotions due to assiociating expressing emotions as negative, unable to be with another persons ‘big’ emotions, unable to express their emotions due to training as a child to control their ‘big’ emotions till they dont anymore. The article concept of being with the child during emotional breakdown is important to demonstrate being with big emotions, its ok to let it out even when its frustration of not getting what the child wants aka tantrums. Emotions are our important navigators, whether we are happy, sad, angry and as parents we need to guide the child to be aware and distinguish the emotions, why they are feeling that way, cause what i can see from many adults, when upset they find it hard to distinguish what exactly is upsetting them, the first reaction is to point fingers at outside of external factors or at someone. Thus all of the experts do have a point, being with a child is important, guiding the child to distinguish and the language to express whats upsetting him/her is important and all these are to be address during the process. Children are very present beings, they easily forget the past therefore addressing during the upset is important. Oh another thing i forgot to mention is that, we often associate happiness, laughter and joy as positive emotions and anger, sadness, frustration as negative emotions. I observe many of adults feel ashamed or wrong therefore a lot of resistance to experience these emotions in themselves and others. Many of these are conditioning from young. Theres a right and wrong, good and bad emotion. Yet like i mentioned, emotions are neither good nor bad, they are our navigators. My intention for the post is for parents to be aware the consequences of their upbringing of their children in terms of dealing with emotions, let them express the emotions, be with them, discover with them whats really upsetting them, guide them to find the language to express it. Demonstrate to them its ok to feel all kinds of emotions, they are not wrong nor right, good nor bad, that emotions are just navigators of our soul and heart so that when they are adults, they are truly mature beings who can articulate and express what they feel and feel them without shame or guilt, and allow others around them to do the same. Of all the days to stumble across a post like this, I am glad it was today. I really needed to hear these words. Thank you for sharing! Hi there,I read your blogs named “3 Mistakes Every Parent Makes During a Meltdown – Dr. Shefali” daily.Your humoristic style is awesome, keep up the good work! And you can look our website about proxy list. I am extremely inspired along with your writing skills as neatly as with the structure on your blog. Is this a paid subject matter or did you modify it your self? Either way keep up the excellent quality writing, it is uncommon to peer a great weblog like this one today.. This is a good reminder for me. I’ve got a new baby and when my older children (4&6) have a meltdown or fight with each other just when she falls asleep I have been less than sympathetic. I needed the reminder that their feelings and emotions haven’t changed just because their sister arrived. Thank you. I am failing to understand what I am to do when my child is throwing a fit in the store or some other public place. Get down to her level. Hold her and let her finish out her feelings? I have done this & at 3 years old she is still acting up when she doesn’t get what she wants. Thank you Dr Harris for adding some much needed nuance to this article.